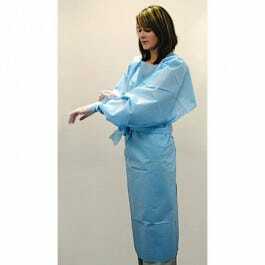 Full-length barrier gown coated with a liquid impervious polyethylene barrier. Disposable, elastic cuffs, ties at waist. One size fits all.